While some firms are full service and will both build and design your home or commercial space, there are a lot of talented firms that specialize in interior design, so your home can have the look and feel that fits your taste and lifestyle. A number of Silicon Valley’s best designs are collaborations with architects and contractors and range in style from contemporary to Mid-century and traditional — whether they are private homes tucked away in forests or remodeled Eichler. This website focuses on the best architects in the Bay Area, so a logical next step was to investigate what builders these design firms work with. We also analyzed customer reviews, government building permit data, and the work history of hundreds of residential general contractors and home builders in Sonoma. Throughout this website, we have explored the work of the Bay Area’s most prestigious residential architects and best interior designers. But behind every successful, world-class structure these architects design – are the builders that make it a reality. Oakland, the largest city in the East Bay, is increasingly becoming a popular destination and larger player in the region. As the city across the Bay from San Francisco has experienced a period of steady population growth for the past decade and an influx of economic activity, its built environment has begun to adapt and change as well. Just south of San Francisco, the Peninsula offers peaceful natural settings, gorgeous views, exclusive suburban living, and is home to some of the world’s top companies. And the quiet towns that make up this area hold some of the most intriguing and beautiful homes in the Bay Area. Northern California’s wine country is notorious for its world-class wineries, top restaurants, and beautiful landscapes. And tucked among these highlights are amazing homes designed by some of the best architects in the country. There is a casual elegance to the homes in this area. 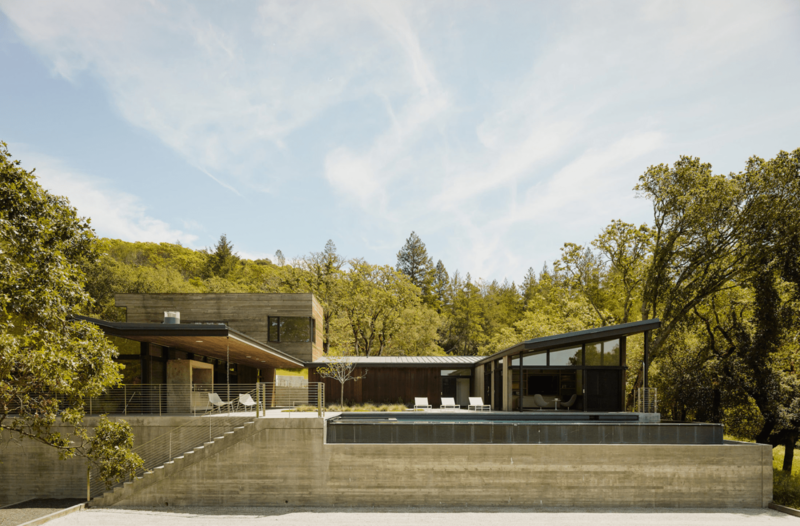 Their architecture takes direct cues from the beautiful landscape and relaxed style of living of Napa and Sonoma. When most people think of California Wine Country, they understandably think of the delicious wines. But as impressive as the wines of Napa and Sonoma are, the estates on which they are grown, perfected, and enjoyed are equally as worthy of praise. As you travels around windy roads and lush hillsides in Napa and Sonoma, you will find world-class wineries in districts such as Oakville and Rutherford. San Francisco is home to some of the world’s most recognizable, profitable, and fastest-growing companies. And behind every successful company is a workspace. This is where these architects come in. Included on this list are architects who have built some of the most inspired offices and campuses in the Bay Area. Given the impressive portfolio of companies that call San Francisco home, it is no surprise that some of these offices are almost too amazing to believe. The Bay Area has some of the world’s top residential architectural practices. (If there was any doubt, check out our list of the city’sTop Residential Architects). So it only makes sense then that the region would also be home to top-of-the-line interior designers to make those spaces into the perfect homes.